Adam Price is a tool. I don’t mean that the character is not likable; I mean he’s a writing device used to advance a storyline. Adam begins searching for Corinne while slowly piecing together the reality of his wife’s life. He discovers the stranger also has revealed devastating information to Heidi Dann, a middle-aged woman with a family in Beachwood, Ohio, and Michaela Siegel, a medical student in New York City. When Dann is murdered, Adam’s fears intensify. When I started the opening chapter of The Stranger, I got that happy feeling I get whenever I read Harlan Coben’s books. I was hooked the first time I read Deal Breaker (1995), and I have been fortunate enough to attend several of Coben’s book signings. I can report he is clever and funny in person, as well as in print. Unfortunately, while the voice was the same, I could not manage the emotional connection I feel with Coben’s prior novels. I have heard Coben say that, when he starts writing, he knows the beginning and the end, but he does not know what the path will be from point A to Point B and he does not generally write an outline upfront. Nevertheless, in 2014, Harlan Coben’s Missing You gave me pause. It seemed a bit too tightly crafted, as though the author had said to himself, “Hmmm . . .I read about this nifty writing technique. Let’s experiment with it.” With The Stranger, Coben delivers another novel that feels as though it were written for homework assigned in a creative writing class. Even if he truly does not know the route he will follow, I suspect Coben has consciously chosen his means of travel. 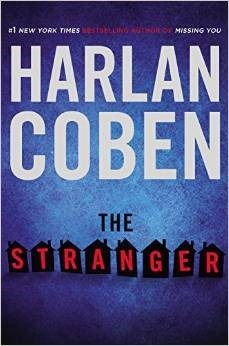 I am going to put The Stranger away on a high shelf and, when Harlan Coben’s next novel is published, I will rush to read it, hoping to find a renewal of the originality, humor, and artlessness I grew to love in his books. If that means some time before a new book is published, so be it. Another truly good Harlan Coben novel would be worth the wait.